Simon Haykin received his B.Sc. (First-class Honours), Ph.D., and D.Sc., all in Electrical Engineering from the University of Birmingham, England. He is a Fellow of the Royal Society of Canada, and a Fellow of the Institute of Electrical and Electronics Engineers. He is the recipient of the Henry Booker Gold Medal from URSI, 2002, the Honorary Degree of Doctor of Technical Sciences from ETH Zentrum, Zurich, Switzerland, 1999, and many other medals and prizes. 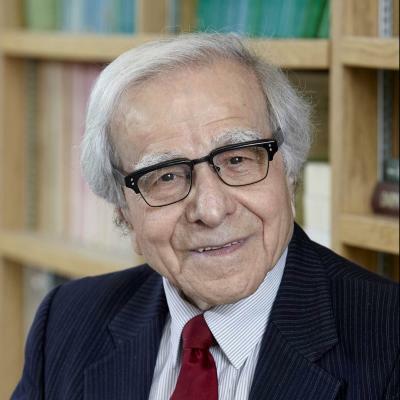 He is a pioneer in adaptive signal-processing with emphasis on applications in radar and communications, an area of research which has occupied much of his professional life. “Cognitive Radio: Brain-empowered Wireless communications”, which appeared in IEEE J. Selected Areas in Communications, Feb. 2005. “Cognitive Radar: A Way of the Future”, which appeared in the IEEE J. Signal Processing, Feb. 2006. Cognitive Radio and Cognitive Radar are two important parts of a much wider and integrative field: Cognitive Dynamic Systems, research into which has become his passion. Distinguished University Professor ; Director of Cognitive Systems Laboratory ; Fellow of the Royal Society of Canada ; Fellow of the Institute of Electrical and Electronics Engineers ; recipient of the IEEE's highest award for educational activities - the 2016 IEEE James H. Mulligan, Jr. Education Medal ; recipient of the Henry Booker Gold Medal from URSI, 2002 ; Honorary Degree of Doctor of Technical Sciences from ETH Zentrum, Zurich, Switzerland, 1999 ; Lifetime Innovator Award (McMaster's Innovation Showcase) ; and many other medals and prizes ; Dr. Haykin has provided outstanding education to generations of undergraduate and graduate students through his renowned text books & engaging lectures. Statistical learning theory, including VC, regularization, and Bayesian theories. Algorithms for multilayer perceptrons, kernel-based learning machines, self-organizing maps, principal components analysis, and blind source separation. Sequential state estimation algorithms, including extended Kalman filter, unscented Kalman filter, and particle filters; applications to learning machines. Cognition. Neural information processing. Spectrum sensing. Bayesian filtering for state estimation. Cognitive dynamic programming for control. Cognitive radar. Cognitive radio Self-organizing systems.